I'll quickly put together a custom marketing plan with an effective price. A well-priced home often generates competing offers and drives up the final sale value. My market analysis takes into account the most actively searched prices and home values throughout your area, including expired listings and properties still on the market. In marketing your home, I also develop a listing that emphasizes its unique and sellable aspects. I then put your home in front of buyers, establishing it on the local MLS as well as broader ones, new listings sheets, and real estate publications. Our nation-wide network of professional real estate contacts and buyers will also have the opportunity to check out your listing. We affiliated with the #1 Luxury Real Estate website in the world. 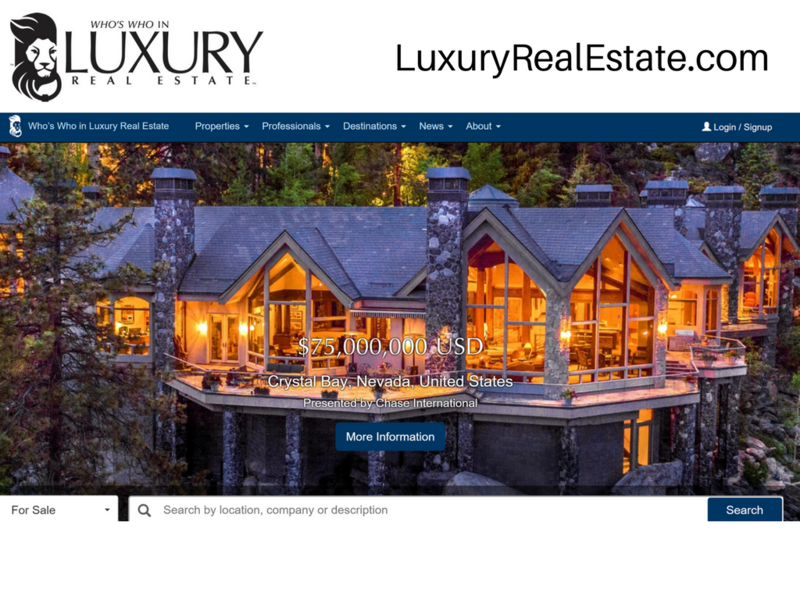 Luxuryrealestate.com is the premier luxury home marketing website online today. Your property will be advertised online 24/7 to the global network of Buyers around the world. When I list your home, I do so at no additional cost. When you start to get offers, I can represent you during the emotionally charged negotiating process and ensure that you get the best price and favourable closing terms that are clearly spelt out. As your professional aides, I also oversee all paperwork related to the sale.